Munzee President Rob Vardeman looks back on the year, what went right, what went wrong, and what to look forward to next year. This year has been a tremendous leap forward for Munzee. There are so many new avenues Munzee has explored and so many ways we have expanded, it’s good to look back and evaluate the year. In 2014, Munzee pushed forward toward our 3rd birthday as a QR-code based scavenger hunt. It has been my first full year at the helm as president, and I’m proud of the new avenues we’ve explored. It all started with opening our first headquarters in a 350 square foot office in Downtown McKinney with 3 employees. We explored the possibilities of working with charitable organizations to do good around the world. My explorations lead to attending events in almost a dozen states, and 3 countries. I started the year with a goal of attending one event each month during the year and was successful, meeting well over 1000 players along the way. This was my favorite part of the year because it is the players who make the game of Munzee continue to thrive. Your personal stories of weight loss, exercise, competition, goals, and family fun are what push me forward to continue evolving Munzee into THE smart phone scavenger hunt app of the future. 2014 was also a banner year for expansion, not only in the game of Munzee, but for Team Munzee and Munzee HeadQuarters. The scavenger hunt numbers expanded in such an amazing way, we needed to break them down in a separate category of this newsletter. We are all amazed at how the game has grown over the course of a year and the steady incline we continue to see. We credit much of that growth to the continued evolution of the game of Munzee and the passion of our players. This year we expanded the ways you can play Munzee. Points, special icons, badges, clan wars, special contests, videos, fitness, socialization, and just for the fun of it. I can’t wait for you to see the lineup of fun we have in store for you during the New Year. More expansion has taken place within Team Munzee this year than I have room to describe. Since opening our first HQ office with 3 employees in January, we now have a total of 8 employees at MHQ with an additional 5 scattered across the world. This growth is directly provided based on your support of Munzee through premium memberships, game piece purchases, and purchases through our authorized resellers. Speaking of our resellers, this year we have added several new locations around the world which can help offer you much quicker shipping than orders coming directly from McKinney, Texas. Check out the resellers at www.munzee.com/retail. Our largest expansion has come in the form of office space and a completely separate business. The Munzee Marketplace was born to fill a need in Downtown McKinney with local products, grab and go lunches, and of course Munzee products. Players who take the time to visit MHQ are surprised to see what the Munzee Marketplace is, and then enjoy the player hangout area “Behind the Wall”. Tours are offered as long as Munzee staff is on hand, during normal business hours, so please stop by if you are in the area. 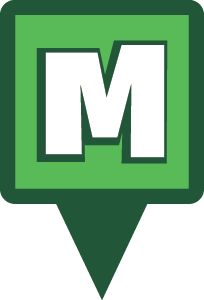 The Munzee Marketplace has great plans for 2015 as well, but that’s an entirely different subject the people of McKinney and Collin County will be excited to hear! As we say farewell to 2014 we also recognize some of the growing pains we felt and lessons we learned. It is my personal goal to ensure we continue to prepare for the future players as they continue to join the game. We prepare the servers, the databases, our staff, and innovative ideas to continue to grow the game. It’s with this in mind that we move forward to 2015 with a new theme. New Year. New Perspective. This is the theme for 2015 so prepare to see it in action often, and quoted on the podcast, videos, and messages online! I am very excited to show players new possibilities for Munzee as we look back on some of our gameplay elements and update them. These updates will allow all of us, and new players we invite, to see Munzee from a new perspective. New elements will be added to Munzee which will give us all the ability to see a new side of Munzee. We will not change the entire game, so don’t fear. However, we’ve heard your requests, we’ve built a team ready to face the challenges, and we’ve started the process toward new growth. We hope you will join us this year in looking at Munzee from a new perspective and helping to grow the map, grow the game, and spread the word. Our first perspective changing addition is the Trail Munzee, set to launch officially in early January. The trail Munzee will be great for creating a longer trail, causing others to visit 5 locations across a wider distance. It’s design is for those seeking adventure, or more than just a casual hop from one sign to the next, 50 feet at a time. We can’t wait to see how you use the Trail Munzee, so get ready. Official details will be released soon! 2014 has been great to Munzee, our player community, and our worldwide community. I can’t wait to walk with you into 2015 and spread the game of Munzee even further. I have a great appreciation for each and every one of you reading this email and what you do to enable Munzee to continue to grow. Top 14 of ’14: The Overall, Best of the Best for this year. As the year comes to a close we can’t help but look back on how big 2014 was! From special icons and big events, to huge announcements, 2014 is going to be a tough act to follow. Here we have the 14 best things about 2014, ranging all things Munzee. In no particular order Team MHQ has decided on what they think made the year so special. While the first office in McKinney was a huge step for Munzee, the 350 square foot space filled up quickly. After hiring Intern+ Matt and a month later UI Designer Peter and Master of Media Dylan, it was time to look at expansion. Even in the final months of the year our team began to grow more with development on both technical and business sides. Munzee will only grow from here- especially considering the growth of the company’s business ventures. What started as a convenience store to provide the downtown McKinney workers with an affordable snack option has grown into something much bigger than anyone at MHQ could have imagined. The Munzee Marketplace is now McKinney’s premier option for local, organic, fresh foods. The Marketplace has partnered with various local vendors and has big plans on the horizon that make Munzee proud. All the extra space from the Marketplace was handy for MHQ’s first official event. In connection with Downtown McKinney’s Oktoberfest Celebration, MHQ Bash featured three days of activities that nearly 200 people joined us for. After seeing some of the great events our players have thrown over the year, we knew we had to go big. We learned a lot about how to plan and execute events (a learning experience to say the least) and we know next year’s Bash will be even bigger. Speaking of learning experiences, there’s still a lot the players have to teach us. Much like MHQ Bash, players have made their own virtual gardens for a while and needless to say we have been super impressed with what our players have created. So in connection with the emerald family jewel we made our first official virtual garden outside of McKinney and our players helped us fill it in. It took a little maneuvering and some help from our players with our design, but we’re proud of the new garden and excited to release more official gardens around the world. President Rob Vardeman may have done a bit of Virtual Garden scouting during his world travels this year as well. CoachV started his presidency with an oath to expand the player connection and he has not wavered on that promise. For as busy as we keep Rob in the office he still made as many trips to as many events as possible this year. From Germany to California to Canada and everywhere in between, the President racked up the frequent flyer miles, sometimes squeezing trips into a 24 hour span- and enjoyed every minute of it. It’s hard not to enjoy world travels, especially when you’re in Germany days after they won the World Cup. Rob got to experience just this during his trip to Cologne, Germany. To celebrate the world’s favorite sport, Munzee blasted the world with football special icons and held a competition where players could vote on who they thought would win in the Copa Do Munzo competition. As many guessed, Germany won the cup and Rob was on hand to reward the faithful football fans. The benefit of special icons is that they are constantly interchangeable and can be used in unique ways, like helping raise money for charity in a fun way. Our players came out in full force multiple times this year to use Munzee for good. The Autism Puzzle Hearts brought in $5000 for the Doug Flutie, Jr. Foundation, The RMH Virtuals garnered $25,000 for the Ronald McDonald House of Spokane, and the ALS Ice cubes raised $54,000 for Project A.L.S.. Needless to say 2014 was a big year in many ways! During one of his many trips this year, Rob and other members of Team MHQ announced the arrival of Rovers at Munzee Madness 3 in California. Rover is a supplemental piece to the game, and in fact a game within the game of Munzee. Rover is an extremely unique part of Munzee because although it is not a munzee type it encourages players to travel and expand their personal maps. Since its announcement in March, all the active Rovers in the world have traveled a whopping 61 million miles! Another huge part of this year was the Munzee Clan Wars. Players battled it out month after month, fighting for that number one spot and the ever-glorious Super Chuck. This aspect of the game has shown MHQ how dedicated our players really are and the lengths they are willing to go in the name of Munzee. As we head into the new year we’re sure our players will take the battles to an even higher level and the Clan count will only grow from there! In case you couldn’t tell from our world-traveling President, Munzee is all about transparency and our player relations are extremely important to us. So what better way to interact with our players on a weekly basis than with a podcast? Our weekly update on all things Munzee has evolved a lot over the year. We’ve recently turned our podcast into an interactive videocast that players can now ask us questions each week, which has furthered the connection we get to make with our players. Be sure to join us Tuesdays at 1 pm (MHQ Time) for the live videocast where you can interact with us, ask questions and see us stumble over our words! As big as 2014 was, 2015 is going to be even bigger. Perhaps the biggest announcement of the year was the development of our new app Eventzee! The private events-based app will not only expand the Munzee events system, but will help our business grow to new reaches and in turn grow the Munzee map as well. We’re currently beta-testing the app and fixing any final kinks, but Eventzee will be a huge part of the new year. Thank you to all of our players for a great 2014. We can’t wait to see what happens next! As the year comes to a close we can’t help but look back on how big 2014 was! Over the next few days we’ll be looking back on some of our favorite moments of the year. You guys grew the game in a big way this year and our numbers prove it. Check out 2014 By The Numbers! Edit: The numbers below show what are labeled Virtual and physical deploys. These numbers should be 2014 and 2013 deploys, respectively. As the year comes to a close we can’t help but look back on how big 2014 was! Over the next few days we’ll be looking back on some of our favorite moments of the year. 2014 was a record-breaking year for Munzee events! Although there were events all across the world, the following brought out big numbers in attendance and President Rob was on hand at all of them. The original large scale Munzee event was back for its third year in the Yorba Regional Park located outside Los Angeles, California. Members of Team Munzee joined Rob for his 2nd year for some Fun in the Sun. Unfortunately the rain decided to crash the party, but it didn’t slow down the true Munzee spirit of the players who had traveled from almost a dozen states for the annual event the first weekend in March. Several events over the course of the weekend included dinners, time at the park, and mega points at nearby Anaheim Angels stadium and Disneyland. This annual event is hosted in part by Munzee reseller Elliot of the Munzee Madness clan (see where the name came from now). 🙂 Members of Team MHQ also announced the Rover! More than 100 Players from almost a dozen countries traveled to Cologne for multiple events and the opportunity to play host as Rob visited from MHQ. The main location was a biergarten surrounded with mystery virtuals deployed by players from around the world. Side trips to the Köln Dom, the Rhine river, and nearby parks allowed for fun times to socialize and score maximum points. Munzee reseller John of EUMunzeeshop was on hand to take care of player needs. Rob also revealed a new line of hats, clothing and stickers! New to the Munzee scene and showing explosive growth over a 6 month period, the Space Coast of Florida was home to a huge event in November. Over 100 players traveled from distances up to 1000 miles away to join Rob as the event was sponsored by Munzee resellers Dale & Barb of the Space Coast Geocaching Store. The event was the perfect temperature to soak in the sun, cap a ton of points, and then unwind in nearby Port Canaveral at sunset to watch the massive cruise ships departing on their ocean voyages. A month later Rob rejoined over 60 Florida Munzee Hunters in Celebration, FL near DisneyWorld for an event to celebrate all things Munzee. The Trail Munzee was introduced in Celebration with many players capturing the first trail ever deployed and spending time enjoying the unique town. What were your favorite events of 2014? Be sure to follow along the rest of the year as we look back on more big moments from 2014! If you’re interested in hosting a Munzee event contact events@munzee.com today and be on the lookout for news about our new app- Eventzee! As the year comes to a close we can’t help but look back on how big 2014 was! Over the next few days we’ll be looking back on some of our favorite moments of the year. To start things off, here are some of the icons that made this year so special. As many of you may have noticed a few of these have been re-released to the map for the rest of the year as well! MHQ’s base in McKinney, Texas may usually be warm in September, but the Munzee community helped freeze us over in our fight to end ALS. This September we sold special virtual icons featuring ice cubes in connection to the ALS Ice Bucket Challenge and gave all proceeds to ALS research. The campaign was an overwhelming success and in two weeks we raised a donation of $54,000 for Project A.L.S.. In celebration of the world’s favorite sport, Munzee blasted the world with football icons. From the first whistle in Brazil on June 12 until Germany hoisted the cup on July 13, 704 footballs bounced across the Munzee map. We also held a competition where players could vote on who they thought would win the Cup. As many guessed, Germany won the cup and in hand our players were rewarded too! 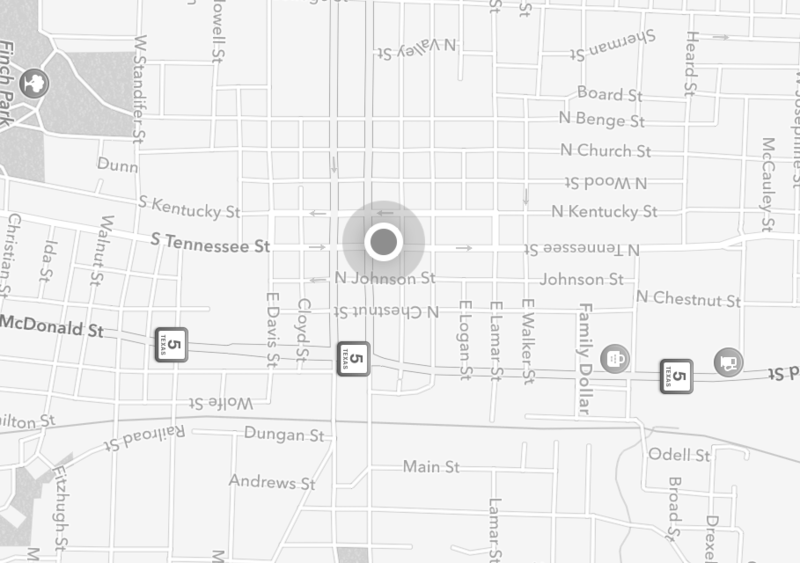 To celebrate and bring awareness to April’s Autism theme, Team Munzee deployed 680 special icons on the map. 680 represents the 1:68 ratio of children born with autism currently. The amazing efforts of our active Munzee community lead to over 8,055 hearts captured in the month of April! Player captures raised a total of $4,027.50 in donations towards the Doug Flutie, Jr. Foundation for Autism. As a part of our #FiestaThree 3rd birthday celebration, we released special piñata munzees around the world. What better way to celebrate Munzee’s third birthday than to hit a paper-mâché donkey until it gives you candy? We released 3,333 piñata specials and just like in real life, munzee piñatas were about getting as many different kinds of candy as quickly as possible. 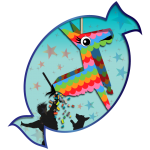 When you capped a piñata you randomly received one of three types of candy and a corresponding special icon. It was a hit! Get it? What were your favorite icons of 2014? Be sure to follow along the rest of the year as we look back on more big moments from 2014! Get your clans ready and prepare for war. We want to start the New Year running, so here are your January 2015 Clan War requirements! Munzee has had a big year. As a game, a company and a community, we’re extremely proud of how much our players have accomplished. As we approach 2015, we’re proud to see our players do so much in just 365 days.This week’s Player of The Week has actually done it in less. Christy Lynch (Mrs5Daughters) began Munzee on January 1, 2014 and already she has made a name for herself in Munzee. Read on to learn more about Mrs5Daughters! I really enjoy outscoring my husband when we go out for the day. I also like that it keeps us on the move and doing something together as a family. I think Munzee is a fantastic game and I wish everyone would just remember that and enjoy the game. I am 43, married to Doug (15 years on the 31st), mom to Amanda, Britney, Victoria, Emma and Kayla, and grandma to James and Julian. When I am not Munzeeing, I work full time at a local elementary school doing attendance and registration. My family and job keep me on my toes and I wouldn’t trade a moment of it. I love to travel, cook, read, scrapbook and be with my family. Mrs5Daughters was kind enough to share her social, so cap away! Expect the Unexpected! As Team Munzee winds down and prepares to spend the holidays with our families, we want to offer our players something to keep them busy during the rest of the holiday season. As many of you have captured, our blue gifts have been on the map all month long, but Santazee may have let a few more things slip off his sleigh. Along with the blue gifts we’re launching red gifts to the map as well. But that’s not all! It’s been a big year for Munzee and for those that missed out on various parts of the year, we wanted to bring back a few of our highlights. So, starting December 26th at midnight (00:01 MHQ Time) we’re re-releasing a few icons. These special icons, along with the two gifts, will stay on the map until the clock strikes midnight on New Year’s eve (23:59 MHQ Time). 200 of each icon will be on the map (Blue gifts will reduce to 200 when the rest go live) and they’ll sit in one place for 6 hours or until capped, when it will then bounce to a new spot in the world. For those that have captured these already, this is technically a new icon so it will show up in your specials list as a new icon. All of the icons can be seen on www.munzee.com/gifts once they go live on the 26th. As with all special icons you are not able to capture one on your own munzee, but you are able to capture an icon on any other munzee (even if you’ve capped it before). Much like our map, Munzee the game is always growing. We’ve evolved in our three years and continue to do so every day. That being said, we’ve had growing pains and some times that loses the interest of players, but we pride ourselves on fixing our errors and earning back respect. This week’s Player of the Week wasn’t impressed with Munzee his first go around, but he’s happy he gave the game a second chance. Frank Broughton went from deleting the app to running a unique system of clans in the Western New York area and hasn’t looked back since. It’s this dedication that proves to us that our game means something and we take pride in knowing players will always give us another chance. Read on to learn more about FrankBroughton! Hmmmm… I do not know, sometimes I ask myself that same question. The answer varies… from simple man, to complex man, to father, to dad, to husband, to grandpa, to friend, to leader, to follower, to loner. My Munzee player name is my real name, “FrankBroughton”. I live in Western New York. In small country town, south of the City of Buffalo. Munzee has grown immensely in Western NY. Niagara Falls is 45 minutes away from Team Broughton HQ. I joined the Munzee website on October 1st of 2012. I run a forum for other GPS based location games and hobbies. One of my good friends asked this question on a thread he started “Dare I use the “M” word?” GOF Munzee introduced me to Munzee that day. I was skeptical of the game at first, I even deleted the APP shortly after (it crashed too many times on my phone). Some time had passed and another friend of mine talked me into giving the game another attempt. He mentioned how the APP had improved, he encouraged me download it again, I did. He even walked me through a park finding some Munzees. Something clicked, Rayman, thank you for that day. You reintroduced me to Munzee and I have never turned back from that point. Glad you asked. I think it would be very neat to see the creation of the Munzee Missile! It would work just like a standard blast, but the different being one picks a virtual Munzee any place in the world as a target. The Munzee missile lands at that location and captures the nearest 100 virtual Munzees within the blast zone. Let’s face it, many players will never have the chance to travel the world to get to the many awesome Virtual Gardens on planet earth. The missile Munzee would be a neat tool. Make it so it would have to be earned, and rare. Perhaps the ability to earn one for say each 1,000 deploys and 1,000 captures of Greenies. Something along that line. It really could work and be a fun part of the game. It covers the virtual world and the ground game. Again, it would have to be earned. I have been through some bumps and bruises in my 55 years so far of life. From my dad passing when I was 13, to my first born son passing at age 26. I have to say though, I also have been very blessed. I have a wonderful wife and 7 other kids. I have 5 wonderful grand children. I have had the great privilege of working for my church full time for 23 years now. I am someone who puts his all in most everything I attempt to do. I love this Jack Dempsey quote, “A champion is someone who gets up, even when he can’t.” I know that feeling. I have a passion for Fireworks. I put on a huge show on America’s Independence Day each year at a summer camp I help run. I use the Cobra Electronic Firing system to create a pyromusical (fireworks synced to music). I am an administrator on a very popular Fireworks forum. I enjoy scenic photography, hiking, and simple things such as watching sunsets with my wife. FrankBroughton was kind enough to share his social, so cap away! Our seventh videocast has been converted to audio, so click the link and listen on! Rob is MIA. Well, actually, he’s at Disney World growing the Mickey Map. Co-Founder Scott Foster filled in, in his absence. We’ve hired a new IOS guy. Happy to have ya Nick! Trail Packs are currently in Beta and more news should come at the start of the year. The Eventzee social pages have gone live, the app is still coming soon. Scott looks back on what a big year 2014 was. 2015 Theme voting will start tomorrow. Remember to join us Tuesdays at 1 pm (MHQ Time) for the live videocast where you can interact with us, ask questions and see us stumble over our words! To learn more follow us on Google + and if you missed last week’s videocast click HERE.